The recipient of numerous literary prizes, including the National Book Award, the Kafka Award, five Hugo Awards and five Nebula Awards, the renowned writer Ursula K. Le Guin has, in each story and novel, created a provocative, ever-evolving universe filled with diverse worlds and rich characters reminiscent of our earthly selves. 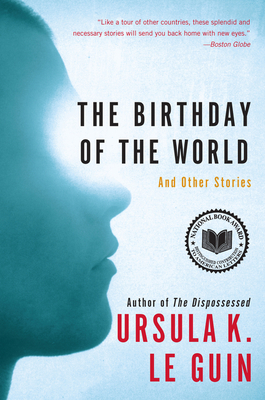 Now, in The Birthday of the World, this gifted artist returns to these worlds in eight brilliant short works, including a never-before-published novella, each of which probes the essence of humanity. "Strong work from a master storyteller; highly recommended."